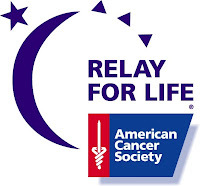 For the University of Cincinnati Relay for Life event this year we will be trying something a little bit different. We are creating a slideshow that will play throughout the whole event and will be showing pictures from last year’s event as well as people’s personal photos. This is where we need your help! If you could send me, Catherine Lothrop, an email with a picture of someone you may know (or yourself) that has cancer, had cancer, or passed away from cancer, along with a favorite quote or bible verse, that would be fantastic! Also if you want to you can let me know the type of cancer that the person had/has and I can incorporate that. I have another request; I have been putting together a lot of pictures that look like this one of Liz. As you can imagine, it is very time consuming! If you are able to, it would be great if you could send me them already edited. If you consider yourself ‘artistically challenged’ I understand and just sending the picture and information is fine. But if you can help in this way it would be tremendous. I will supply you with some instructions so you can try it on your own if you are willing. 2. On the main page, click on get started now. Don’t worry, nothing is going to happen to your computer and there are no fees unless you choose to go premium. 6. Under this tab if you click on text you can type in a quote to add and change the color and font to whatever you like as long as it is readable! 7. If you click on stickers there is a cancer ribbon awareness section and you can pick the ribbon color that goes along with the type or types of cancer the person had. 8. Feel free to click on other things and change the picture however you want. If you’re super into it you can even whiten the teeth! 9. Finally when you are finished, click on the save and share tab and type in a name that you would like to save your new picture as. Be sure to change the name that is already filled in or it will overwrite your original picture. 10. From there press save photo and send it to my email, catherineclothrop@hotmail.com, as an attachment. Thank you all! I look forward to seeing everyone’s photos! Feel free to email me with questions as well! Great job Catherine! I hope you get some more responses to this wonderful cause. I'll see if I can scrounge up any more pics for you. I know it's going to be great! Mallory and I are going to work on getting some pics to you this week and weekend! Sorry to leave you hanging - you're doing a great job, girl! Keep it up!